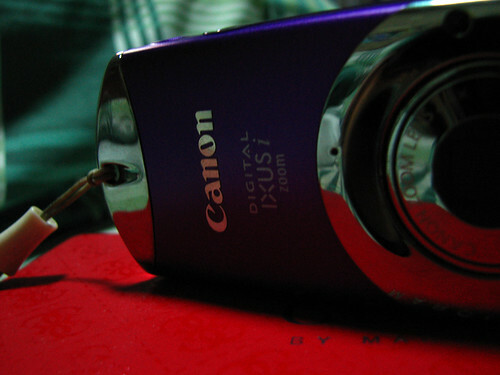 Goodbye Canon IXUS iZoom taken by a .... ? You've served me well IXUS. We've gone to parties and gimiks and was a witness to many a fun night. We went to Cebu, Boracay, Puerto Galera, Zambales and Baler and you were with me as I roasted under the hot sun, from sunrise to sundown. You have all my happy memories with Darice and Dar as we goofed around in front of you and made funny faces :) You made us camwhores and we sincerely thank you for that. And you rose to the challenge when I started to dabble in "serious" photography, giving all your best as I walked the length of Roxas Boulevard. You haven't broken down in times of need. And to that fact I am very very very grateful. S3, we're going to have a long road ahead of us. Please bear with me as I adjust everything that can be adjusted and tinker with the settings until you get confused. I might forget to take off the lens cap most of the time when I power you up (and to that, I am going to say sorry already many times in advance). wow congrats. wee! 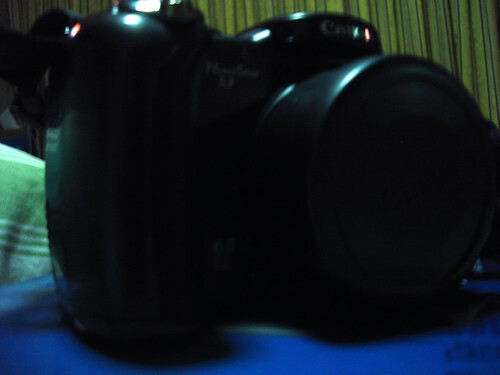 new cam! ako ipon-ipon muna para makabili hehe. pasalamat ako at hindi ako sinama sa japan ng nanay ko at nabilhan ako ng camera :D hehehe. wahehehe good for you. ako nagpipigil na magpunta sa mga yodobashi shops. ang dami kasi dun eh. pero di bale, magkakaron din ako niyan, kala niya hehehe. missyosigurl, tara shoot na tayo! :) im just an email away :P or text me. email ko sayo number ko ^_^ tayo na!!! Wieee!! Nice cam, shelley! Mas kakaenganyo ata mag bakasyon ulit no?? *wink* Kainggit..
jimelle, oo nga eh, pero di ko pa ginagamit talaga kasi gusto ko muna bilhan ng bag/case hehehe.